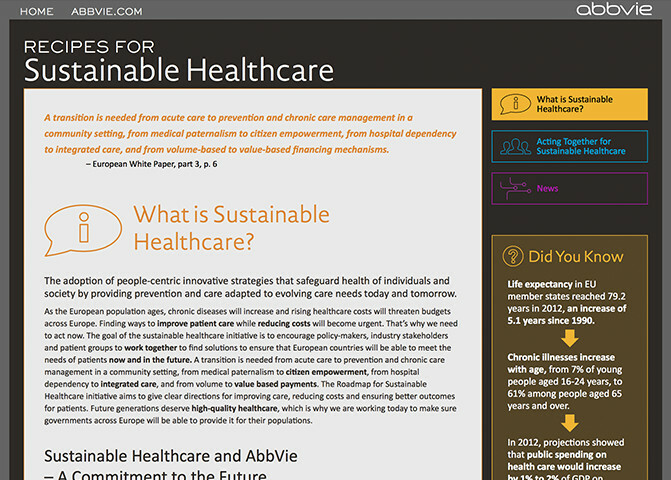 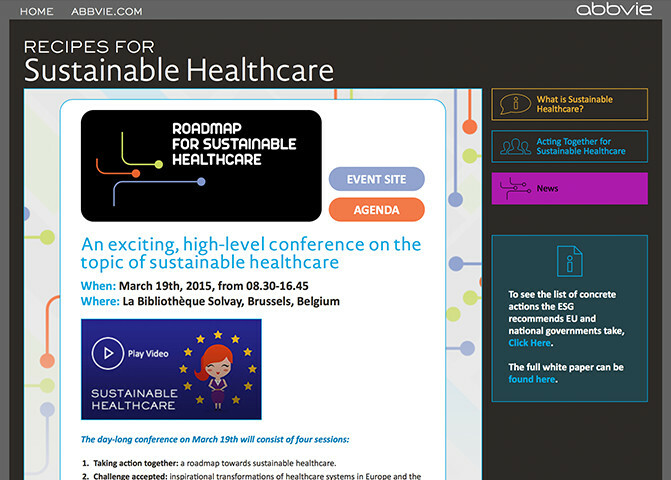 We were asked to design and build a responsive site for an AbbVie initiative, Sustainable Healthcare in Europe. 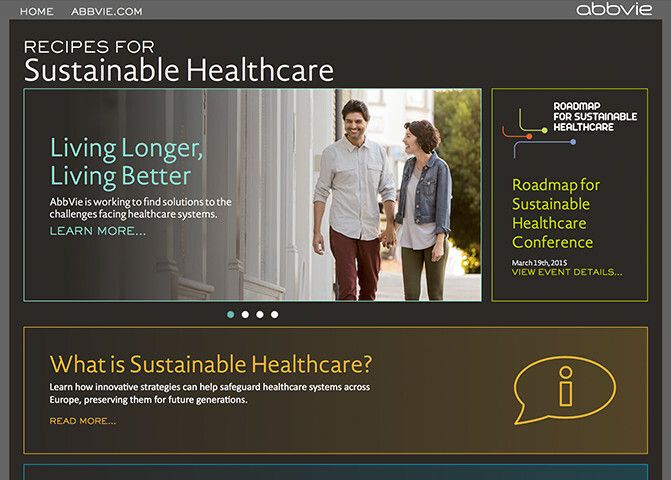 This site was built as a roadmap to enable various stakeholders to find solutions that specifically address the problems they will face based on their location in Europe. 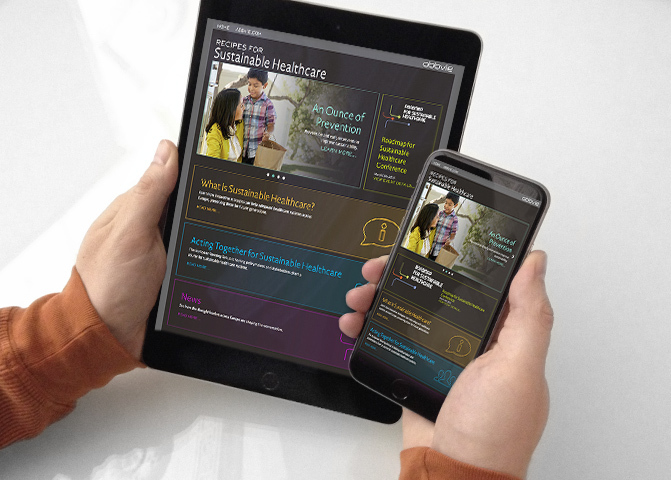 The information and interface experience is consistent and easily accessible through all desktop, tablet and mobile devices. 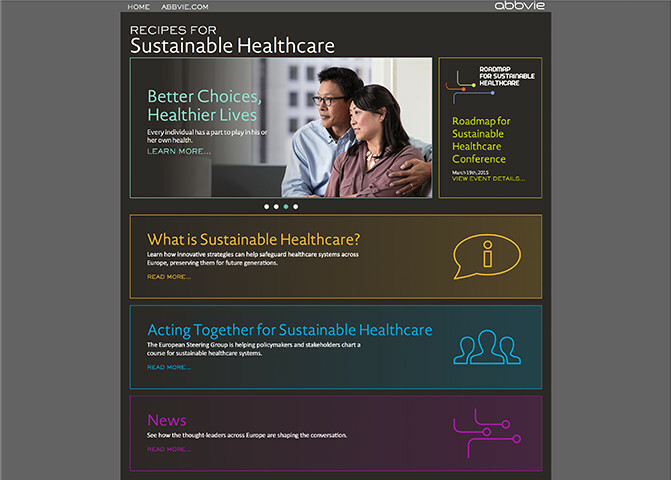 AbbVie is a leader in the biopharmaceutical industry.